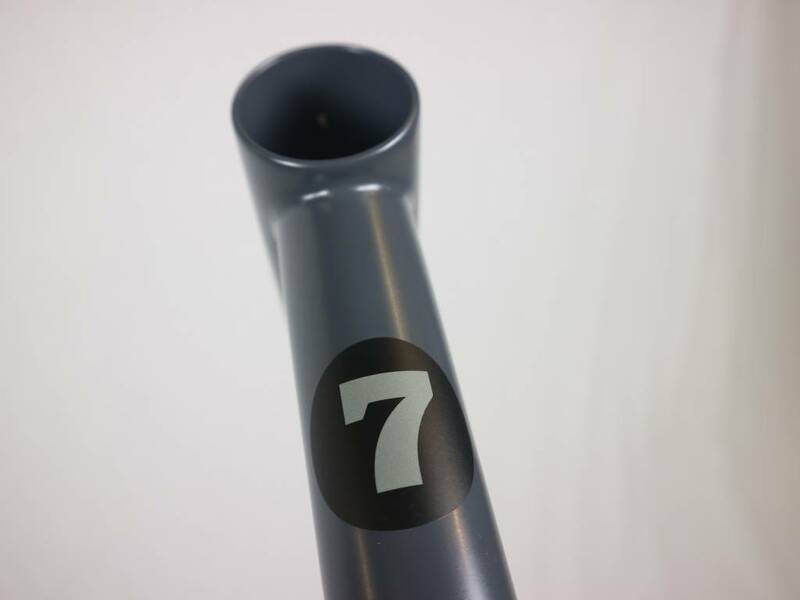 Inspired by the riding that most of us actually do, the №7 and №9 are all-round trail bikes for Mountain Biking. Climbs and descents, trail centres and bridle paths, quick blasts or all-day-epics - just going for a ride. 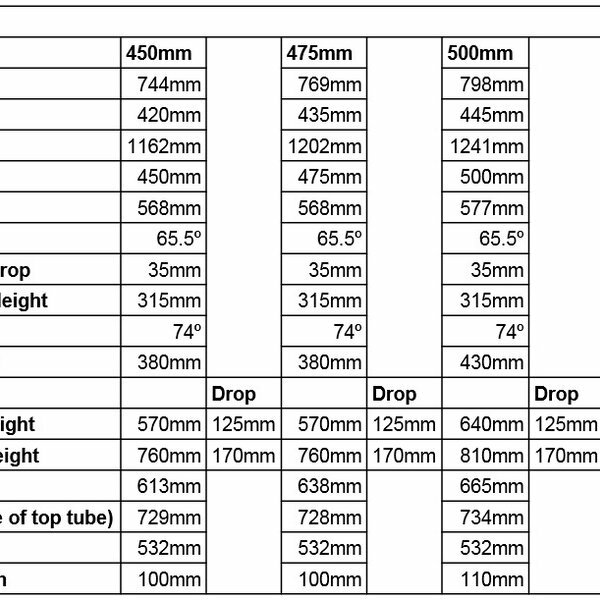 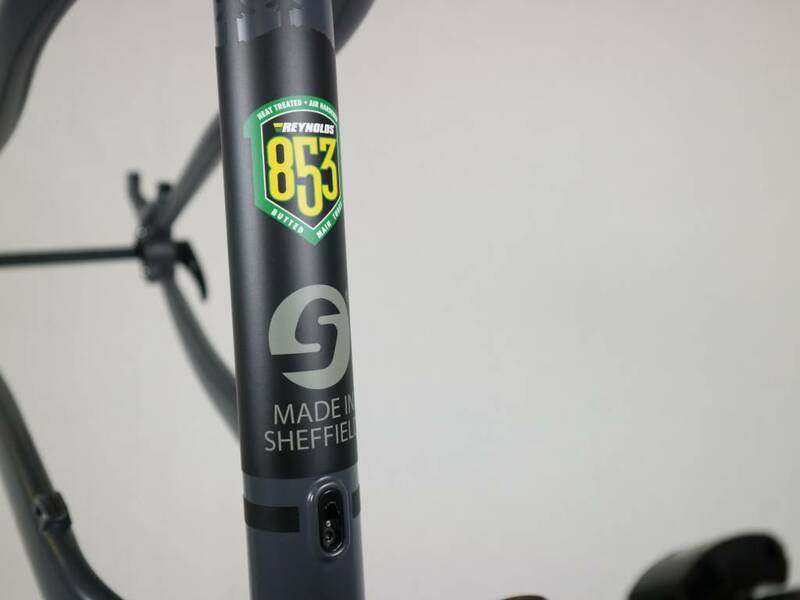 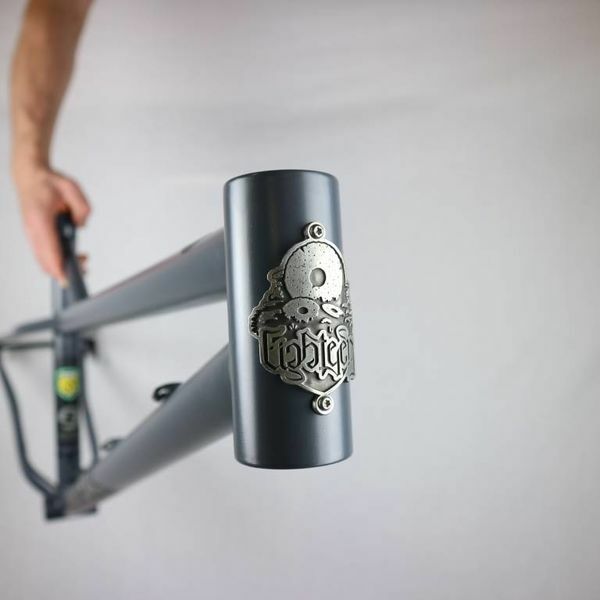 Reynolds 853 main tubes allow us to build a tough and strong frame without excess weight which gives you the option to go lighter and sprightlier or chunky tough with your build, either option on the same frame. 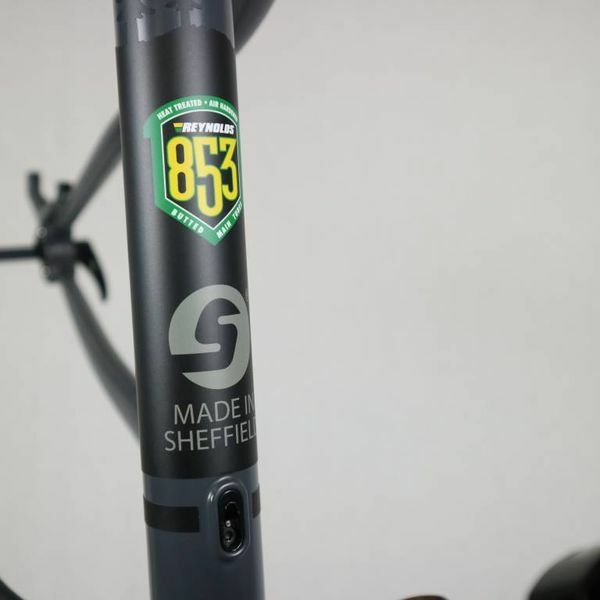 The geometry is relatively long, but by no means to the extremes that some brands are going - we’re keen that our bikes make it round corners too! 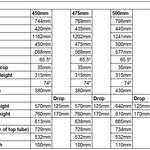 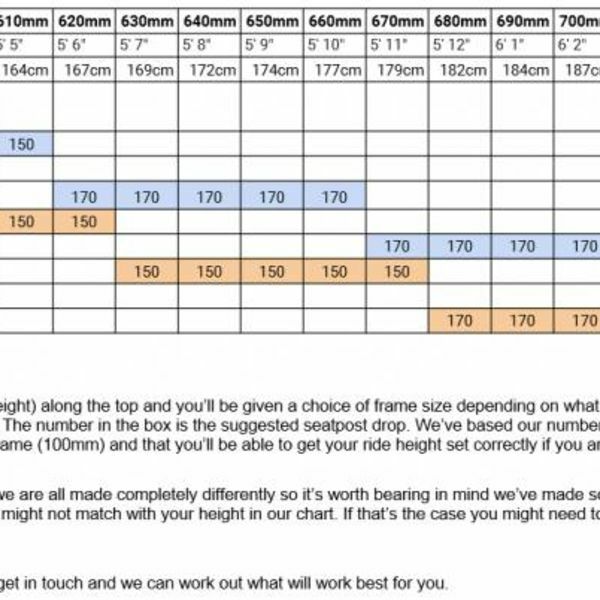 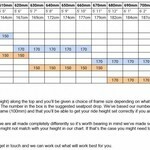 We’re also aiming for our prospective customers to have a choice of sizing, which is why we’re basing our sizing around the reach measurement - rather than the conventional Medium/Large etc. 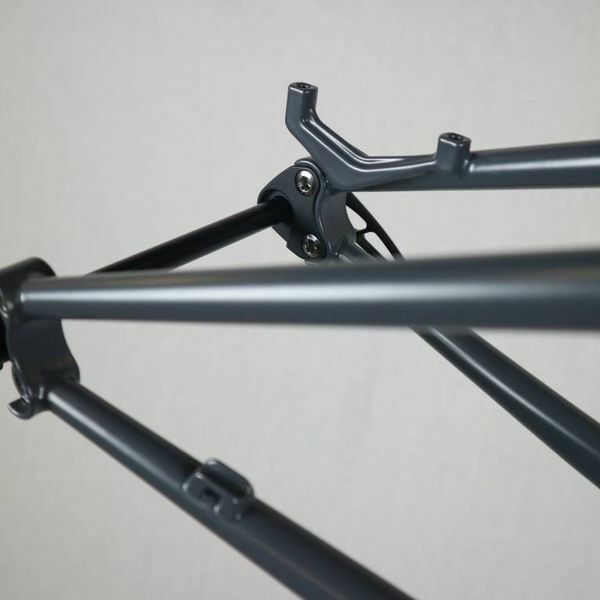 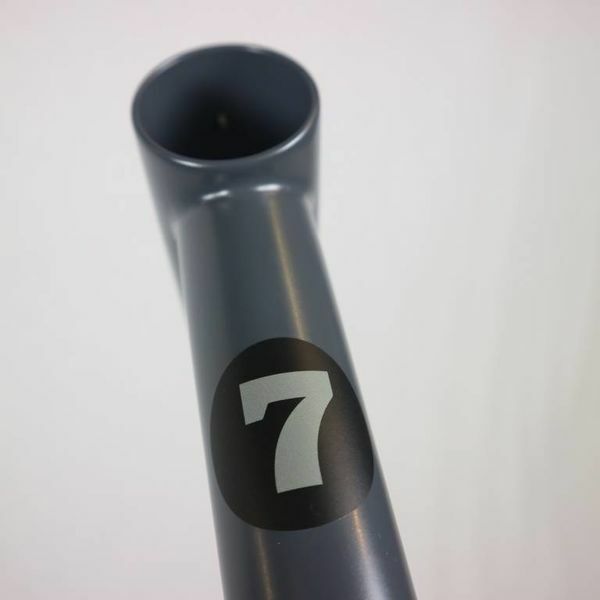 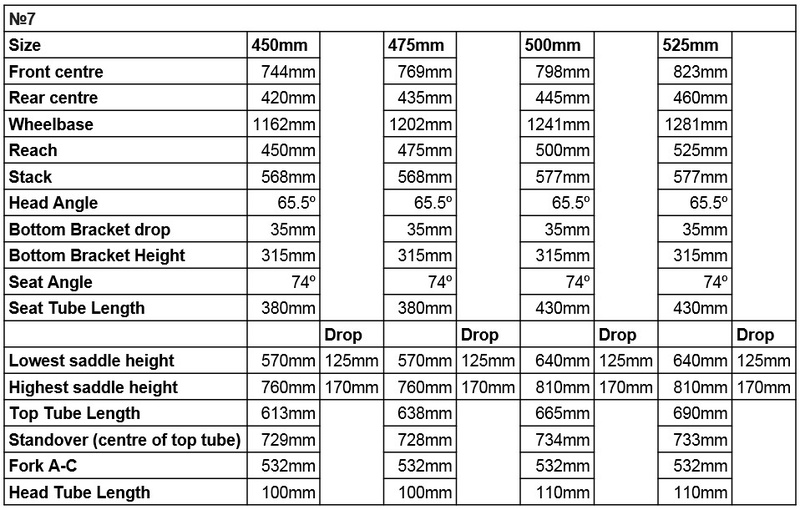 This means that most riders will have a choice of 2 frame lengths, with suggestions for what stem length and seatpost drop to pick. 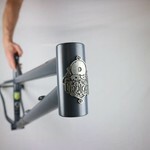 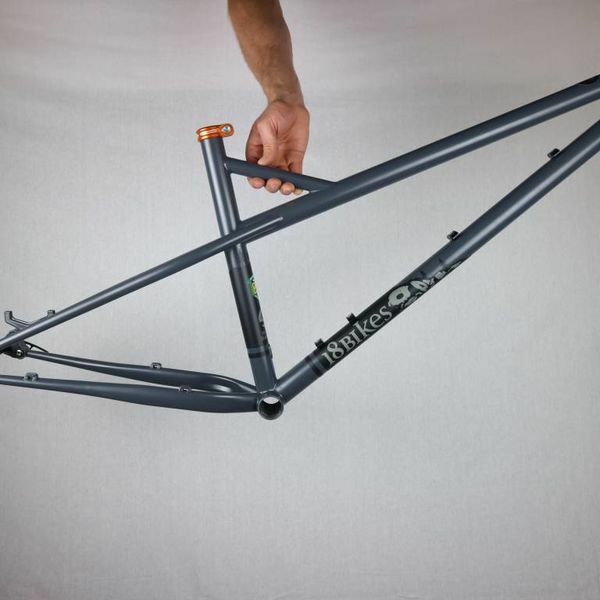 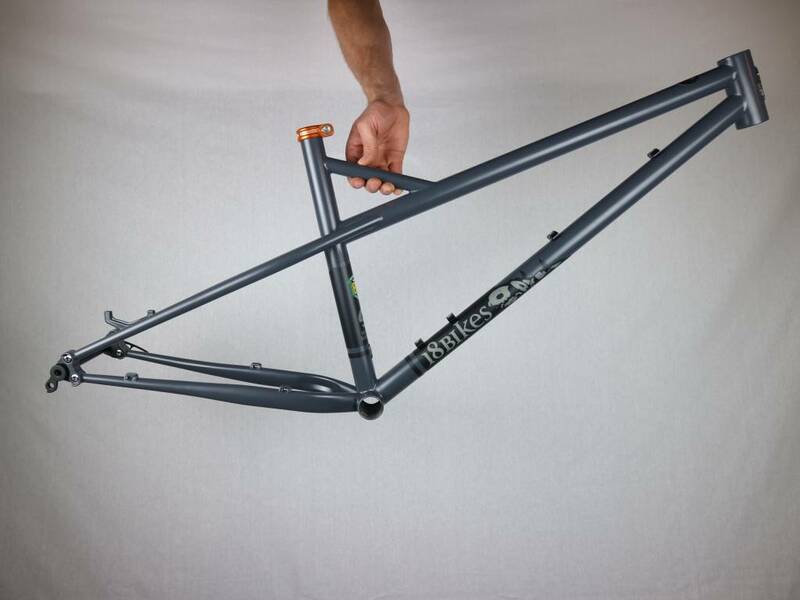 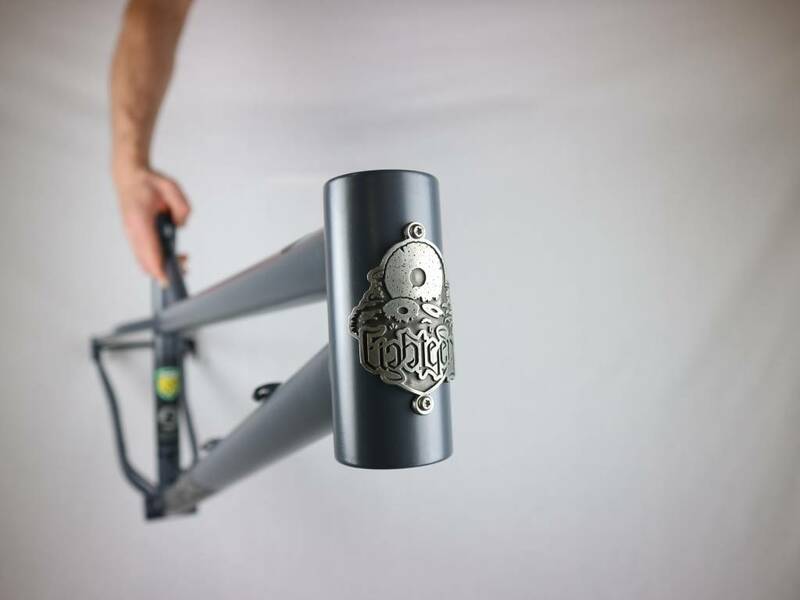 All frames purchased from 18 Bikes are tapped/faced and reamed as necessary before dispatch. 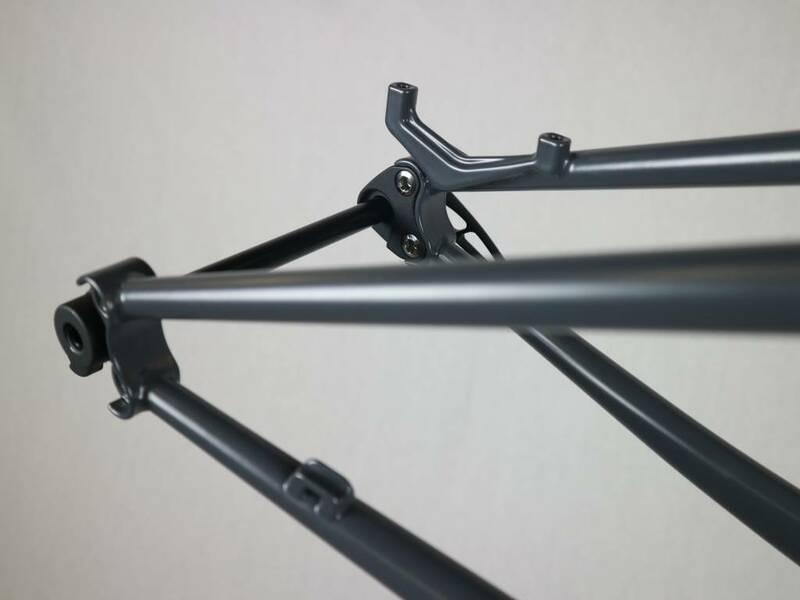 Please contact us to discuss any additional parts you might require, or for quotes on a custom build based on the №7 frame.